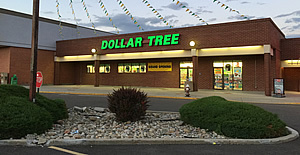 Centennial Square offers an excellent opportunity to be in a Safeway shadow-anchored center with a Dollar Tree store (10,080 sq. ft.) and the Eagle Grill. Newly remodeled Safeway Marketplace on attached parcel. Bank of the West on another parcel. Built in 1982; entire center reroofed; tenant signage upgraded. Parking lot overlay completed in 2012. A high school tutoring center, Goal Academy is a new tenant in 2017.